It’s time to forget those long metro entries! DMRC is about to introduce a life saviour – ‘open gate’ system. No more delays, no more open and close flaps, no more lines; just punch in your metro card and make sure you don’t act smart to be caught. So here’s the deal, now the entry gate flaps may not open and close while you punch in your metro card or token. 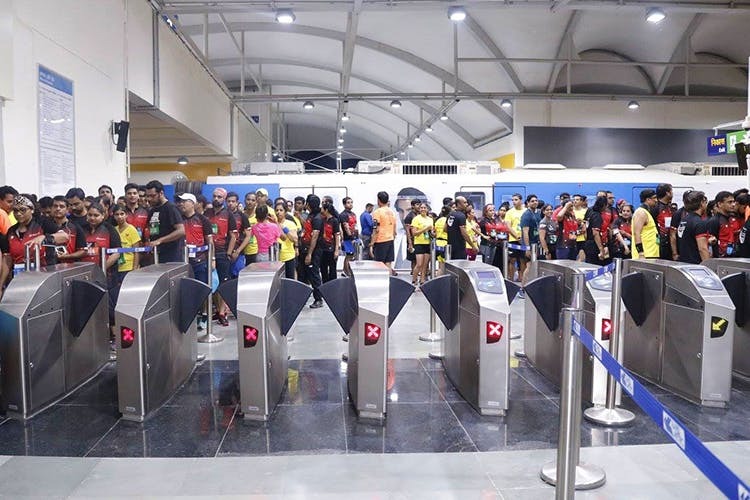 Though the punch-ing game remains the same, but the gate flaps will now be permanently open to save time for daily commuters and tackle the rush during peak hours. However jugaad won’t come easily with this new system. The gates have been encrypted with software that will catch you in the blink of an eye. If one tries to act smart and tries to get away without punching in, the gates will automatically close to block you. Well, quite a smart move DMRC. In its initial stage, this is being experimented on stations of heritage line: Delhi Gate, Jama Masjid, Lal Quila and Kashmere Gate — and the Noida Sector 16 metro station. For a few who have experienced it till now are giving it a thumbs up and feel that this move by DMRC will be a breather to all, especially during peak working hours. But do you think this will welcome a lot of mischief and foul cases as well? What’s your take?